Dogswell Happy Hips Chicken Oatmeal 11 lbs. Dogswell Happy Hips Chicken Oatmeal 22.5lbs. Dogswell Happy Hips Chicken Oatmeal 4lbs. Dogswell Hip & Joint BISC Grain-Free Chicken 14 oz. Dogswell Hip & Joint Grillers Grain-Free Chicken 12 oz. Dogswell Hip & Joint Grillers Grain-Free Chicken 24 oz. Dogswell Hip & Joint Grillers Grain-Free Chicken 4 oz. Dogswell Hip & Joint Grillers Grain-Free Duck 10 oz. Dogswell Hip & Joint Grillers Grain-Free Duck 20 oz. Dogswell Hip & Joint Jerky Grain-Free Beef 10 oz. Dogswell Hip & Joint Jerky Grain-Free Chicken 12 oz. Dogswell Hip & Joint Jerky Grain-Free Chicken 24 oz. Dogswell Hip & Joint Jerky Grain-Free Chicken 4 oz. Dogswell Hip & Joint Jerky Grain-Free Duck 10 oz. Dogswell Hip & Joint Jerky Grain-Free Duck 20 oz. Dogswell Hip & Joint Jerky Mini Grain-Free Chicken 4 oz. Dogswell Hip & Joint Strip Grain-Free Chicken 12 oz. Dogswell Hip & Joint Strip Grain-Free Chicken 20 oz. Dogswell Hip & Joint Strip Grain-Free Duck 10 oz. Dogswell Immune & Defense Jerky Grain-Free Turkey 10 oz. Dogswell Immune & Defense Jerky Grain-Free Chicken 12 oz. Dogswell Immune & Defense Jerky Grain-Free Chicken 24 oz. Dogswell Immune & Defense Jerky Grain-Free Duck 20 oz. Dogswell Immune & Defense Tender Grain-Free Chicken 15 oz. Dogswell Skin & Coat Jerky Grain-Free Lamb 10 oz. Dogswell Skin & Coat Jerky Grain-Free Salmon 10 oz. Dogswell Skin & Coat Jerky Mini Grain-Free Salmon 4 oz. Dogswell Vitality Chicken Oatmeal 11 lbs. Dogswell Vitality Chicken Oatmeal 22.5lbs. Honest Kitchen Dog Joyful Jerky Filet Beef 3.25 oz. Honest Kitchen Dog Joyful Jerky Filet Chicken 4 oz. Plato EOS Grain Free Turkey Cranberry 12 oz. Plato EOS Grain Free Turkey Cranberry 4 oz. Plato EOS Grain Free Turkey Pumpkin 12 oz. Plato EOS Grain Free Turkey Pumpkin 4 oz. Plato EOS Grain Free Turkey Sweet Potato 12 oz. Plato EOS Grain Free Turkey Sweet Potato 4 oz. Plato Farmers Market Real Strips Chicken/Veg 4 oz. Plato Farmers Market Real Strips Chicken/Veg 14.1 oz. Plato Farmers Market Real Strips Duck/Veg 4 oz. Plato Farmers Market Real Strips Duck/Veg 14.1 oz. Plato Farmers Market Real Strips Salmon /Veg 14.1 oz. Plato Farmers Market Real Strips Salmon/Veg 4 oz. Plato Hundurs Crunch Jerky Mini 10 oz. Plato Hundurs Crunch Jerky Mini 3.5 oz. Plato Hundurs Crunch Jerky Finger 3.5 oz. Plato Hundurs Crunch Jerky Fingers 10 oz. Plato Mini Thinkers Pumpkin Turkey 8 oz. Plato Mini Thinkers Sweet Potato Turkey 8 oz. Plato Small Bites Duck 10.5 oz. Plato Small Bites Duck 4 oz. Plato Small Bites Organic Chicken 10.5 oz. Plato Small Bites Organic Chicken 4 oz. Plato Small Bites Salmon 10.5 oz. Plato Small Bites Salmon 4 oz. Plato Strips Duck 16 oz. Plato Strips Duck 6 oz. Plato Strips Organic Chicken 16 oz. Plato Strips Organic Chicken 6 oz. Plato Strips Salmon 16 oz. Plato Thinkers Single Chicken 1.2 oz. Plato Thinkers Single Duck 1.2 oz. Plato Thinkers Single Salmon 1.2 oz. Plato Thinkers Sticks Chicken 10 oz. Plato Thinkers Sticks Chicken 22 oz. Plato Thinkers Sticks Duck 10 oz. Plato Thinkers Sticks Duck 22 oz. Plato Thinkers Sticks Salmon 10 oz. Plato Thinkers Sticks Salmon 22 oz. Plato Wild Caught Baltic Sprat 3 oz. 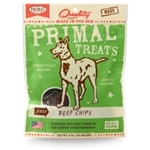 Polka Dog Chicken Strip Jerky 4oz. Polka Dog Cod Chips Pouch 4oz. Go ahead, turn the bag around and look at our ingredients. PureBites Chicken & Sweet Potato Jerky is made with only 2 ingredients; 100% Pure & Natural USA Raised Chicken Breast & Canadian Farmed Sweet Potato with NO added Glycerin. Dogs love the taste of PureBites because our treats are gently dried to lock in the aroma, texture and freshness they crave. Dog parents love PureBites because our treats are 100% pure and rich in nutrients for a happy and healthy life. PureBites Chicken & Sweet Potato Jerky is proudly Sourced in the USA & Canada and Gently Dried in Canada with no Added Glycerin. High in protein and on average 15 calories per treat. Our products are ideal for dogs with health issues or pets that are overweight, diabetic, have allergies, gastrointestinal disorders, or are on a restricted diet. Tucker Dog JERRY Treat USA Beef Liver 1 Lbs. 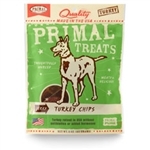 Tucker Dog KELLI Treat Chicken 1 Lbs. Tucker Dog MAX Treat Chicken Bacon 1 Lbs. Tucker Dog SAMMY Treat Chicken/Banana 1 Lbs. Tucker Dog WYATT Treat Chicken Apple 1 Lbs.